Liz Cho has the exclusive report. BROWNSVILLE, Brooklyn (WABC) -- It is in the pre-dawn hours at a top-secret location in Brooklyn. Two hundred NYPD detectives, members of the newly formed 'Gun Violence Suppression Division' are gathered for a tactical meeting. 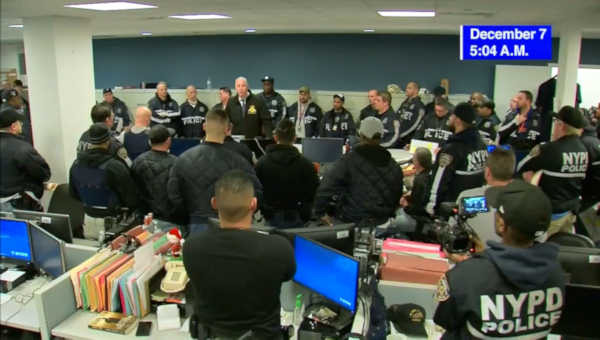 It is their final preparation for a series of raids targeting one of the most violent gangs in the city - the 'Hoodstarz' - an extremely violent crew that has terrorized the Brownsville and Brooklyn North communities for years. 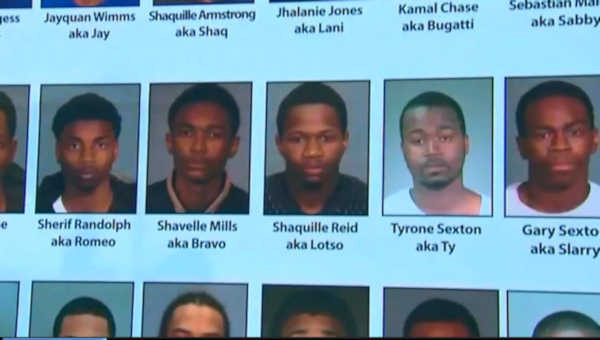 Within an hour, more than a dozen 'Hoodstarz' members, wanted for 25 shootings and two murders will be in for a rude awakening. "Our goal is to hit every door at 6:00 sharp!" said NYPD Lieutenant Richard Zacarese. Minutes after suiting up, these highly-trained, heavily-armed officers are on the move. The raids are the culmination of an intensive 10-month joint investigation by the NYPD and the Brooklyn District Attorney's Office, through a relatively new and innovative strategy that focuses on gangs and guns. 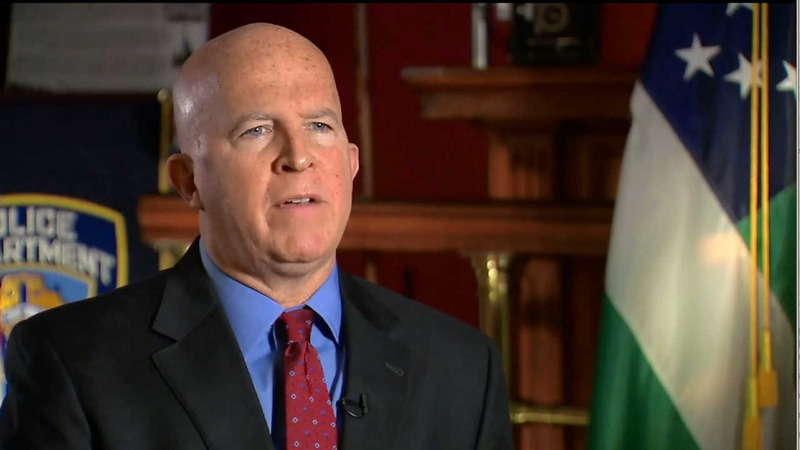 "We've had a tremendous amount of success with precision policing. Just arresting the real bad people, those alpha personalities that are driving the crime," said NYPD Chief of Detectives Robert Boyce. Teams of officers simultaneously descend on several locations across Brownsville, using hard entries to take down the suspects and collect contraband including a credit card encoder. Cho: This has become a big problem with gangs. Boyce: Yes, because it's driving the violence because they can go rent cars, buy guns, buy drugs. Precision policing has had a dramatic impact on violent crime in the city's most dangerous neighborhoods. So far, in 2016, shootings are down 11 percent citywide. 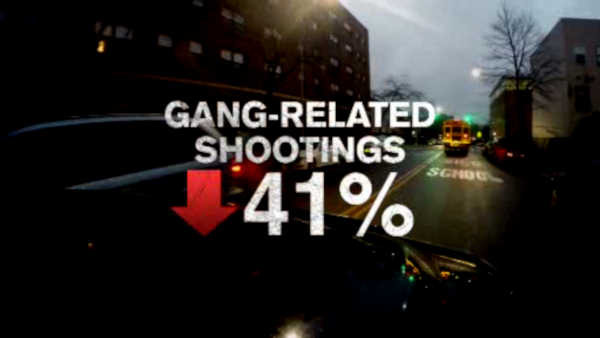 Gang-related shootings have plunged a staggering 41 percent compared to last year. Cho: How effective has this type of policing been for you guys? Boyce: We've done very well this year. It's actually beyond our expectations. So well, in fact - the city is on course to have its best year in violence reduction in history. Cho: What kind of reaction are you getting from the community? Boyce: Positive. Very happy. They've noticed change here. "I think it's much better than it was last year," says Brownsville resident Jessie Hilliard. Jessie Hilliard and Patricia White have noticed the change. They have both lived in Brownsville for more than 30 years. "We haven't had no problem around here lately," Hilliard says. "More people come out. When you have a lot of gangs and people hanging out in front of the buildings, it's not good, and people are afraid," adds White. Police Commissioner James O'Neill says you can see a sense of relief coming over residents' faces. "The results are fantastic. And none of that happens by accident," O'Neill said. Commissioner O'Neill sees the tremendous success of this joint operation as just the beginning. "Even if we push this crime down further, which I know we will, we have to keep coming up with new strategies, new innovations to keep pushing it down even further," he adds. The idea of 'precision policing' was born out of the lessons learned from the NYPD's controversial stop and frisk. The main difference? Investigators are focused on a very small percentage, essentially the 'worst of the worst' - responsible for the bulk of the crime in these neighborhoods. Police hope that this type of long-term investigation will result in more serious charges and convictions with more time behind bars.